Padded Carry Bag for Imac. Made by Bags2cover for your Imac. 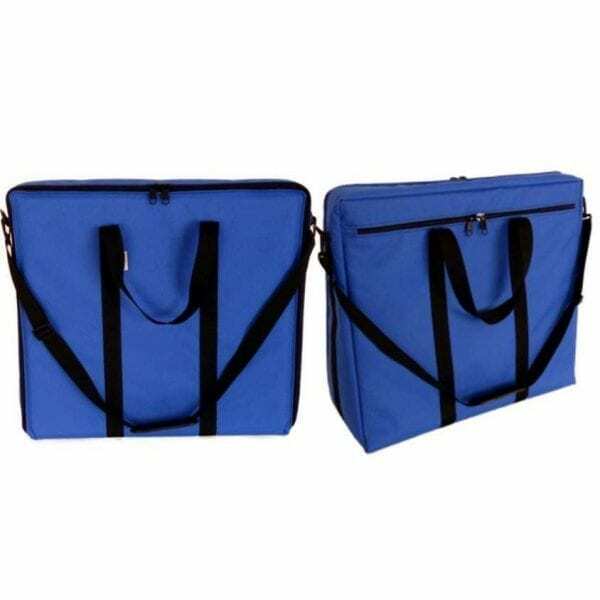 This Bags2cover Carry Bag for Imac has been designed to help you when storing or transporting your Imac. Designed and manufactured by ourselves here in the UK with extra 20mm thick padding to provide super protection. The Padding also provides insulation reducing the risk of condensation from temperature changes when moving between warm and cold environments. On the screen side of the bag there is a solid panel, in addition to the padding, to provide extra protection for the screen. This Padded Bag for Imac has extra strong webbed hand carry handles to ensure that the bag is easily caried by hand, these handles are also recommended to be used when the bag is being carried over the shoulder using the adjustable removable shoulder strap. Carrying the standard Imac keyboard and mouse, together with related cabling plugs etc. is easy as the bag has a wide zipped pocket on the rear of the Imac bag giving full access to the inside of the pocket. – Removable, Adjustable Shoulder Strap with Shoulder Pad. – UK manufactured by ourselves here at Bags2cover to fit your Imac. This 600 dernier (twice the strength of 300d) fabric is a tough strong & rip resistant fabric. It is ‘Polyester’ based with a fully waterproof backing. The outer is treated to make it stain resistant. Bags and covers in this fabric offer the ultimate in storage protection. This superb fabric provides for a good compromise, being lightweight yet reasonably strong, whilst still offering fabulous storage protection. It is ‘Nylon’ based with a fully waterproof backing. This fabric has a smooth finish. For our padded bags, we use 3 layers of material. Outer material – Heavy Duty. Middle material -10 or 20mm padded insulating foam (thickness depends upon product). Inner material – Standard Duty. This ensures a high level of protection for the internal items whilst reducing the risk of scratching and no fluffly liners to cause a “lint” fluff problem.